Seven West Media has today announced its investment in local services startup, Airtasker, to the tune of a 15% shareholding. The digital marketplace, which already has 600,000 members, will receive media support and investment from Seven West to drive brand awareness. Airtasker is a trusted community marketplace for people to outsource tasks, find local services or complete flexible jobs to earn money – online or via mobile. Visit the website here. 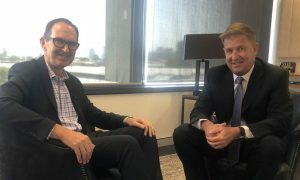 Seven West Media – Australia’s leading integrated media and content creation company – today announced its investment in Airtasker, Australia’s fastest growing digital mobile marketplace connecting people to outsourced tasks and services. 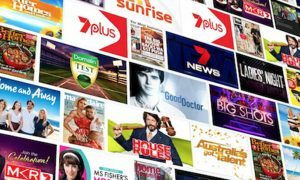 Seven West Media has secured a 15 per cent shareholding and will provide media support and investment to further drive brand awareness and usage via a ground-breaking national integrated TV sponsorship and digital support across Seven’s leading content and brands. 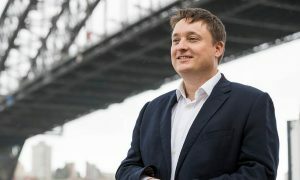 Commenting, Clive Dickens, Seven West Media’s Chief Digital Officer, said: “Airtasker is a unique and highly innovative Australian brand in the fast growing mobile ‘peer to peer’ economy, with over 600,000 already having transacted in everyday tasks. Airtasker has a highly scalable online platform that simplifies the end-to-end task process and provides a rich and valuable data platform, which is a strong competitive advantage,” Mr Dickens said. Airtasker was founded 2012 by Tim Fung (CEO) and Jonathan Lui (COO) who both previously worked as part of the founding team at MVNO Amaysim. “We’re enormously passionate about the opportunity for Airtasker as we pass over 600,000 community members, over $40 million in annualised transaction volume and more than 200,000 community-verified user reviews. With thousands of active workers, many earning more than $5,000 per month completing tasks, we’re excited about future of improving the Airtasker product, customer experience and community through technology.” said Tim Fung, Airtasker CEO.